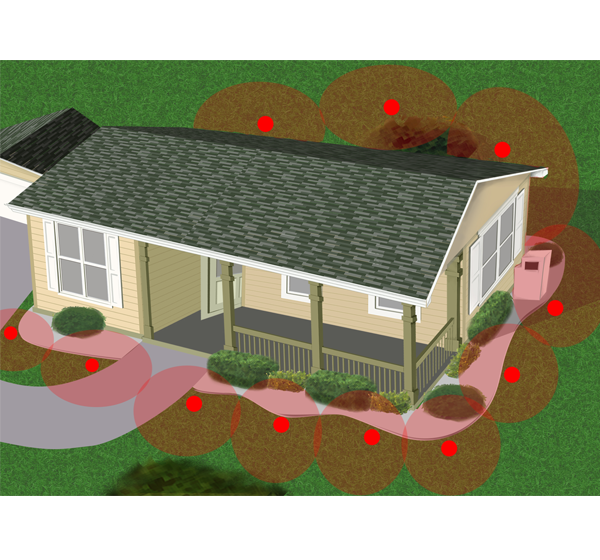 You need the most effective, easy to install & monitor, safe, DIY system to control termites around your property. 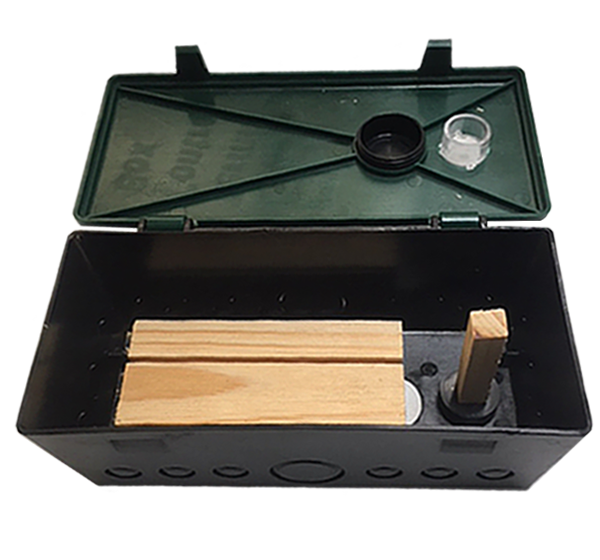 Why pay Thousands to have a termite baiting system installed when you can do it yourself at a fraction of the cost? 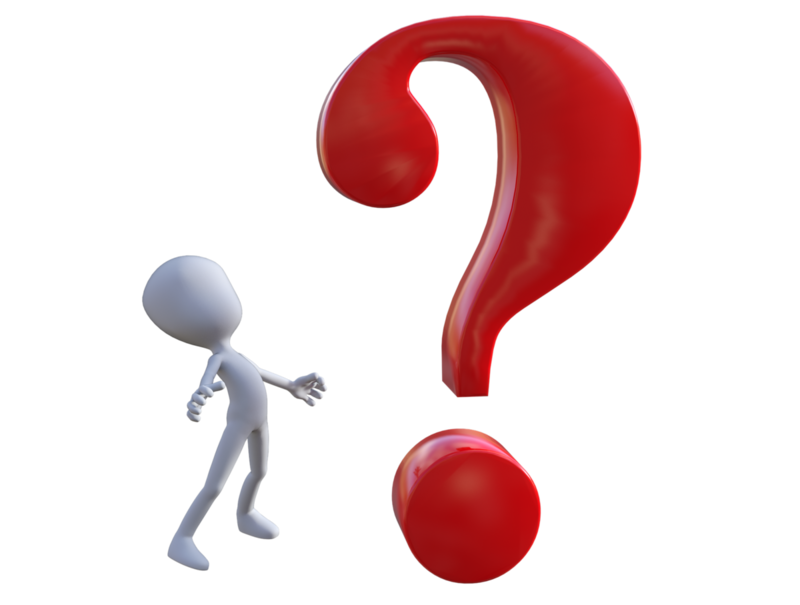 Is Your Property Termite Free? 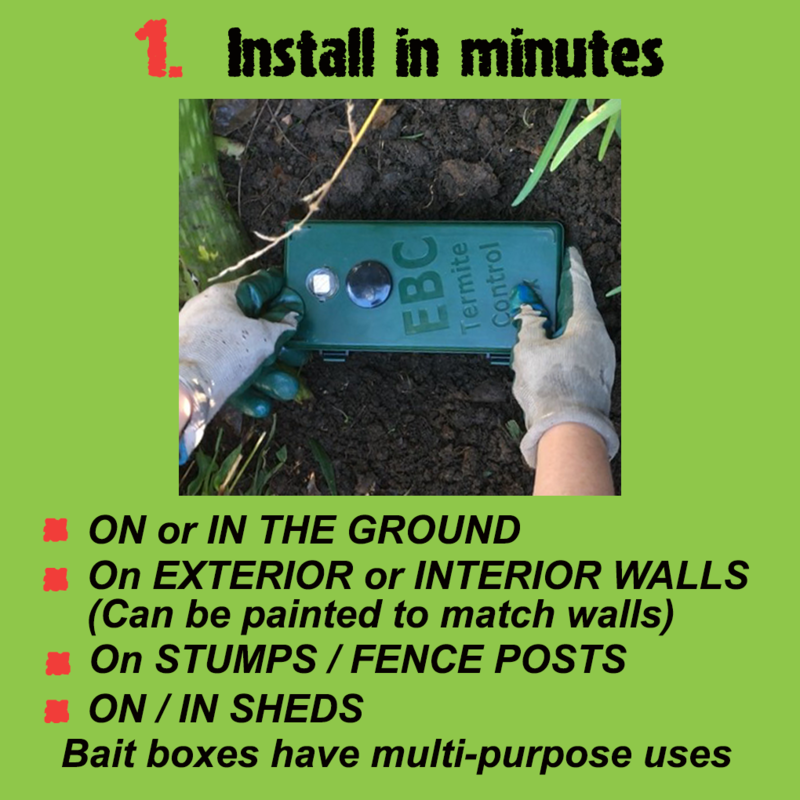 The new MULTI-PURPOSE Termite control boxes can now be located and fixed onto the ground or buried into the ground around your house in 2 to 3 metre intervals, in accordance with pest control industry standards. 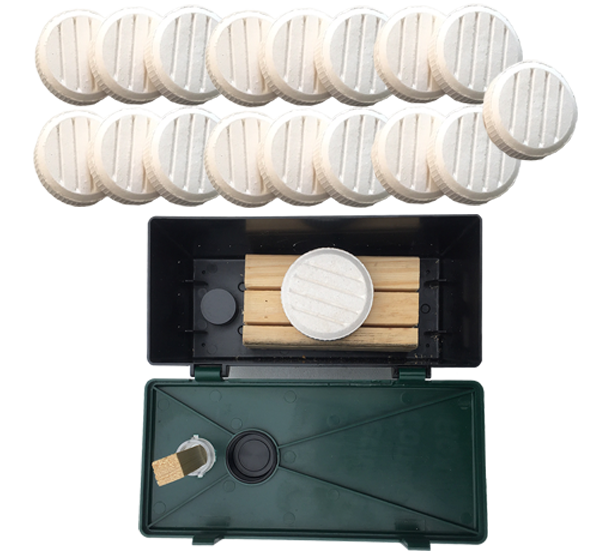 The unique flexility of EBC Termite Ninja Traps means that you can target termites around your house – sheds – on walls –Fences – posts – stumps = in fact anywhere on your property. 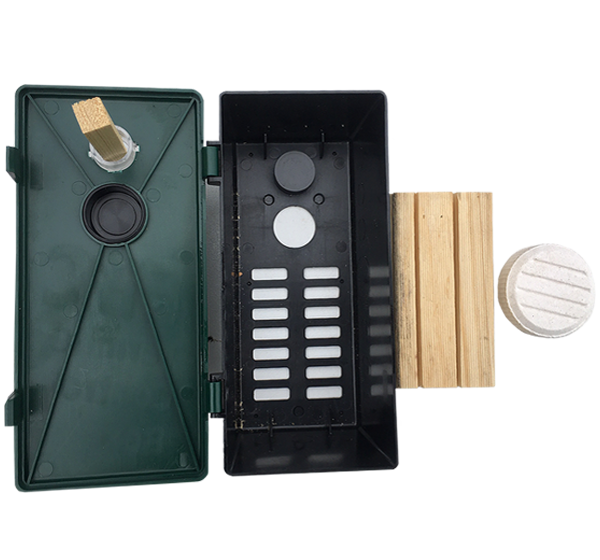 Multi-purpose termite control boxes for multiple uses. 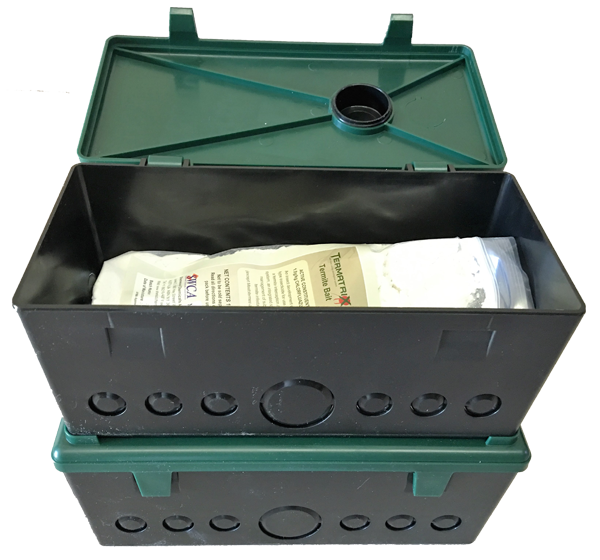 Reusable tough ABS plastic control box traps. Generous supply of specially prepared termite timber bait. and cellulose tablets. The traps contain attractant wood to lure termites. The termites enter the trap underneath or through the sides of the boxes to access the wood inside. They announce their presence by mudding up the viewing window to block out any light, making it very easy for you to know when they’re there. 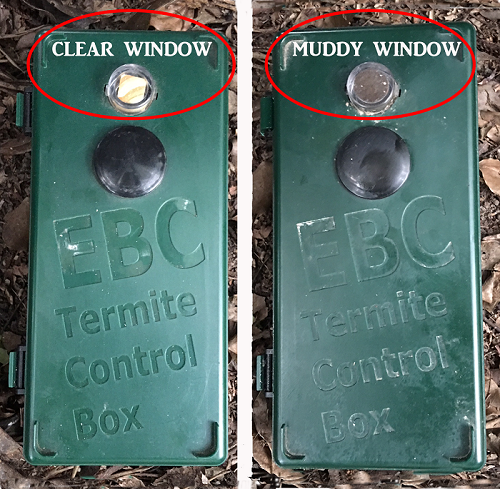 If the Window on the Termite Ninja Monitoring Station Gets Cloudy/Muddy Then It Means You Have Termites! You Can Then Simply add One of Your 5 Free Professional Strenth Termite Baits to Treat the Termites Who Are Attacking Your Home. The worker termites will carry the bait back to the nest to kill the queen (and no queen = no nest). How to Get More Termites Into Your Baiting Traps So You Can Eradicate Them Faster. 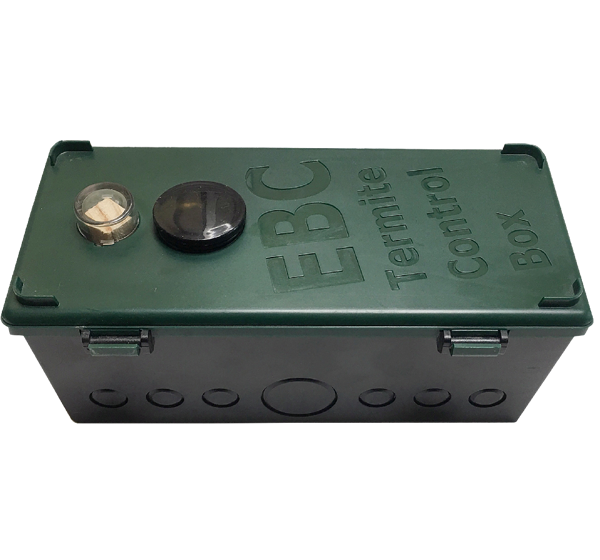 Successfully attracting termites to a termite control box is only half the battle. Keeping them there and increasing the number that are feeding is the other half. Most DIY termite baiting systems just rely on using timber or cardboard as the main attractants to getting termites into the traps. 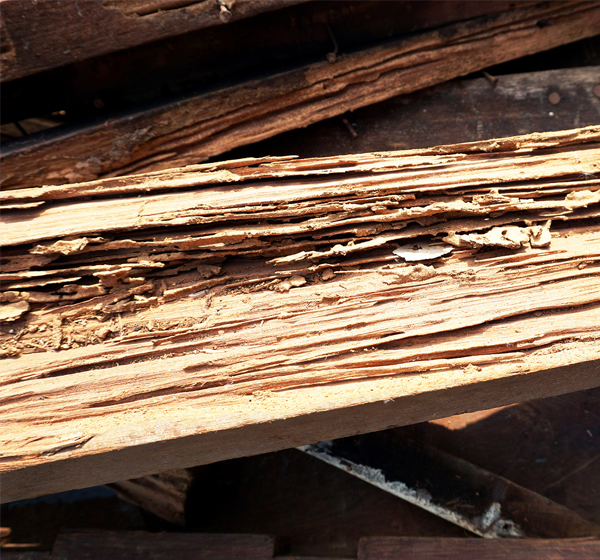 Termites are drawn to the timber lures because they contain cellulose, termites natural food. Now Imagine how much more irresistible it would be if you let them have access to 100% pure cellulose that they don't have to extract from timber or cardboard. the bait, the quicker it gets back to the queen. Kills the queen – kills the nest. 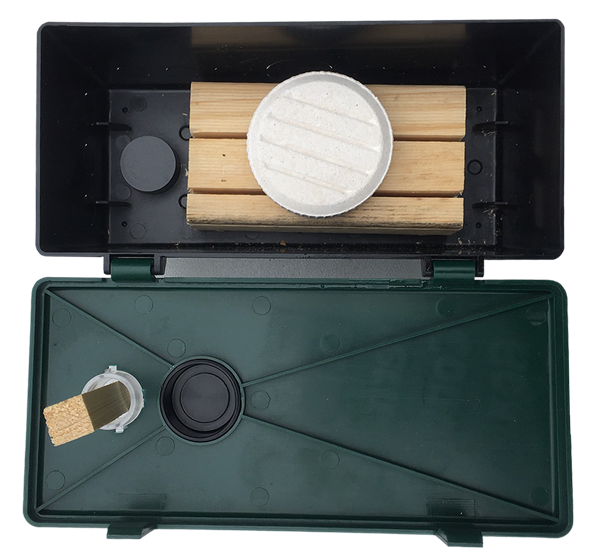 We have Just Added a NEW, Unique Feature to Our Termite Control Boxes to Make Them Even More Attractive to Termites! 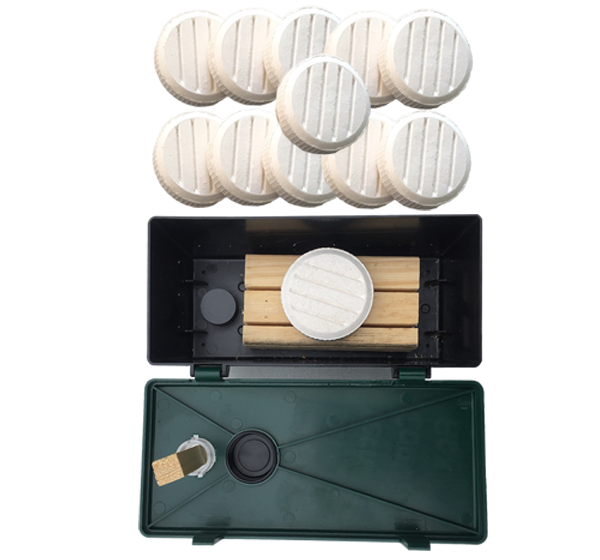 As well as the multi-use termite control boxes coming to you with specially prepared timber bait attractants, we have taken it up another notch and have now added a 100% pure cellulose lolly pop tablet that termites just can't get enough of. Cellulose is food for timber termites and reason why they will attack the timber around your home in order to feed their colony. 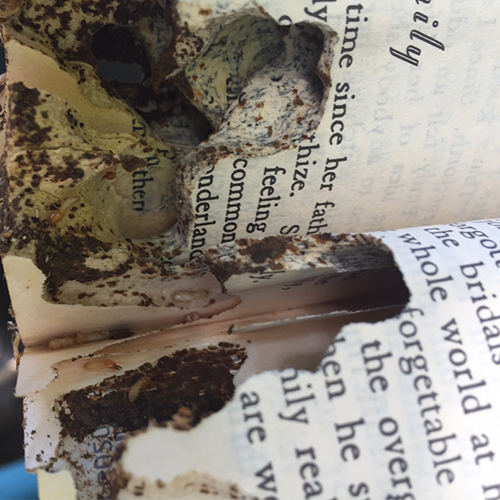 Combining the timber bait and cellulose tablet creates double the temptation for termites. The more termites feeding on the bait attractants the quicker the termite killer bait treatment works to kill the queen - and kill the nest. 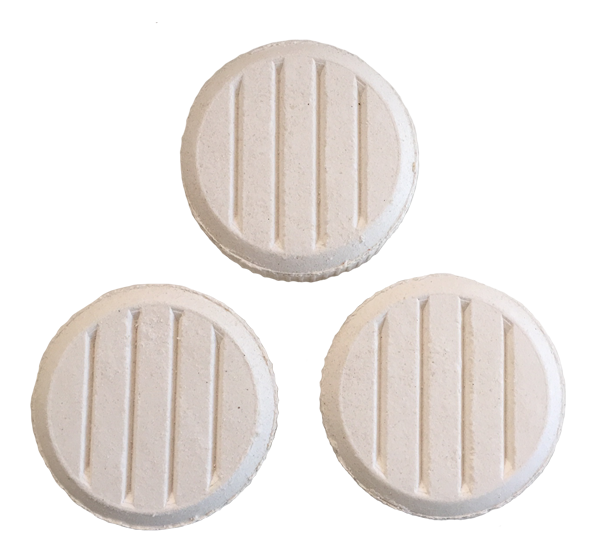 Are cellulose tablets suitable for all DIY termite baiting systems? 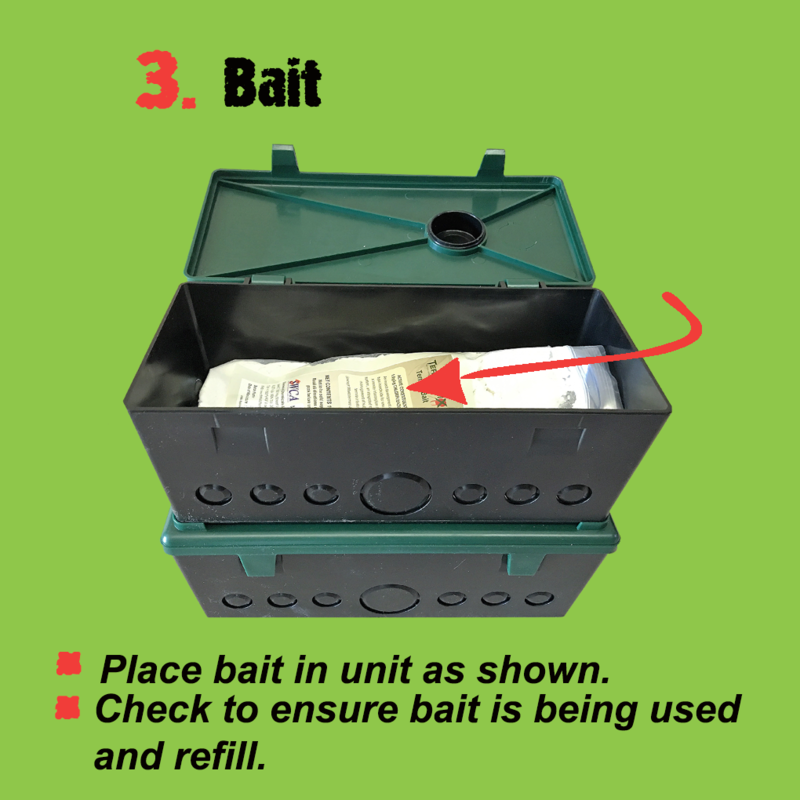 If you already have bait stations or are considering installing a DIY system, adding the tablets to your termite control system increases your chances of successfully eliminating your termite problem. You now get a FREE bonus! A pack of 18 Termite Delight tablets valued at $90! 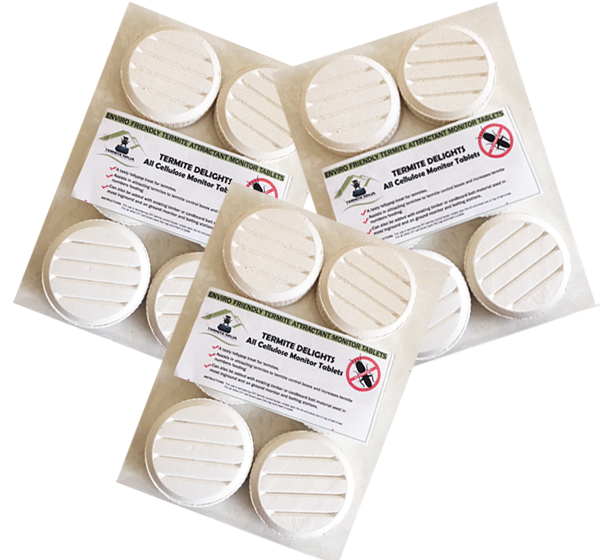 As well as the specially prepared timber bait attractants, you will now also receive our bonus new added 100% pure cellulose termite tablet bait attractant. It's just like lolly pops for termites. Double the temptation! 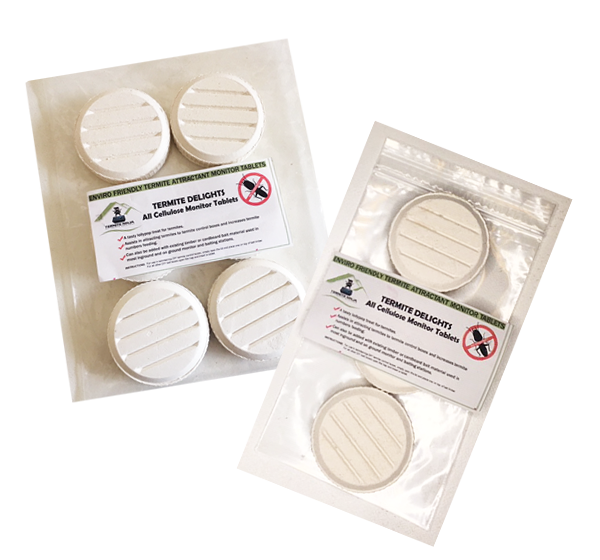 All new termite combo packs now include the cellulose tablets. Additional tablets can now be purchased separately in packs of 3 or more. So Don't Delay. 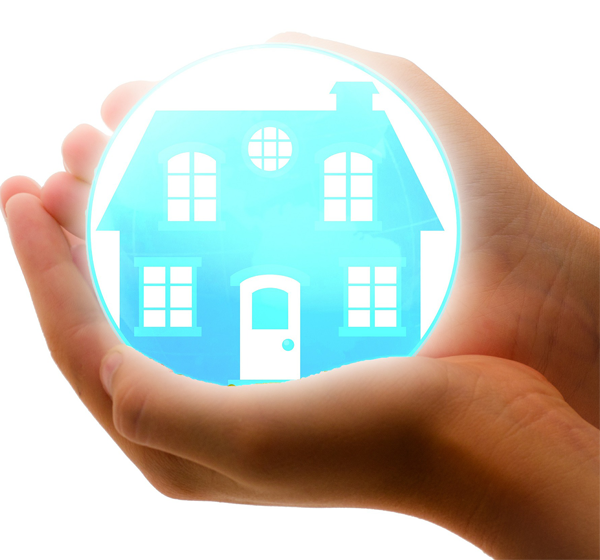 Monitor & Protect Your Valuable Home From Termites Today! 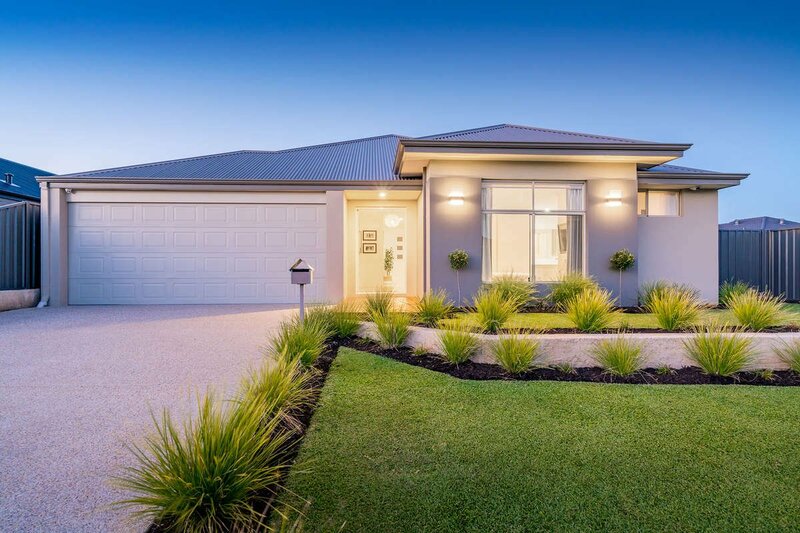 As well as monitoring your DIY termite control system where ever possible an annual inspection of your porperty by a timber pest controller is also recommended. Because when you add the IGR killer bait the more termites eating it greatly hastens the process for getting it to the queen. This means finding the most effective, easy to install & monitor, safe, DIY system to control termites around your property. 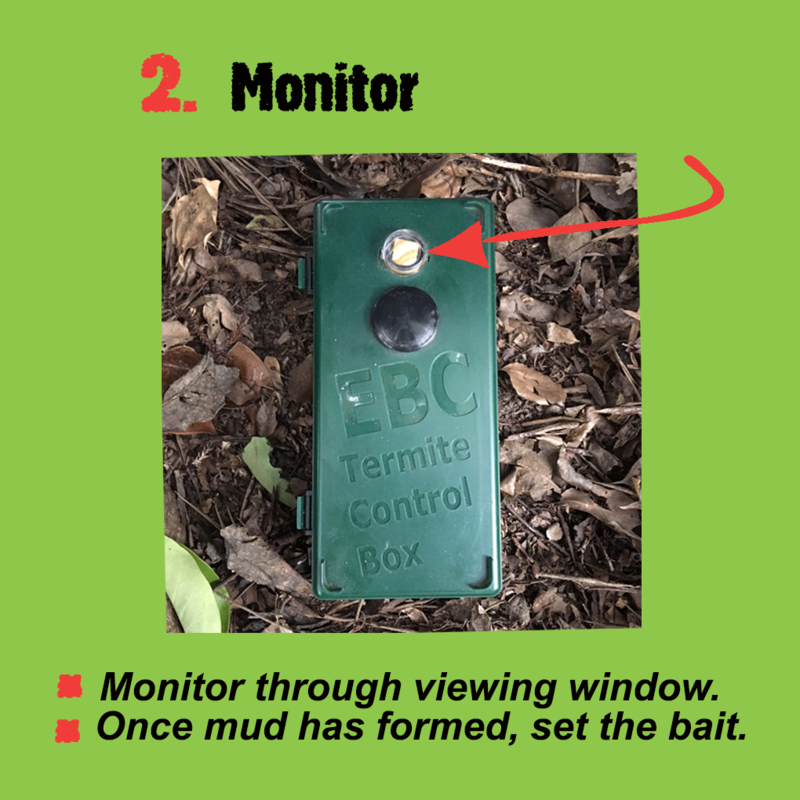 Why pay someone else THOUSANDS of $$$ to install a termite monitor & baiting system? When you can easily do it yourself at a fraction of the cost! metre intervals, in accordance with pest control industry standards. 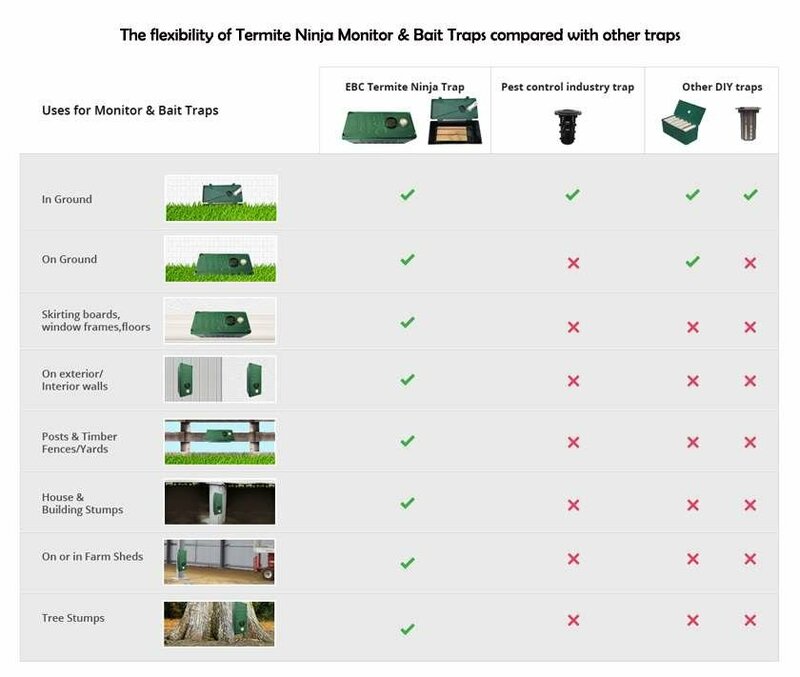 The unique flexibility of EBC Termite Ninja traps means that you can also use them individually for specific target areas. 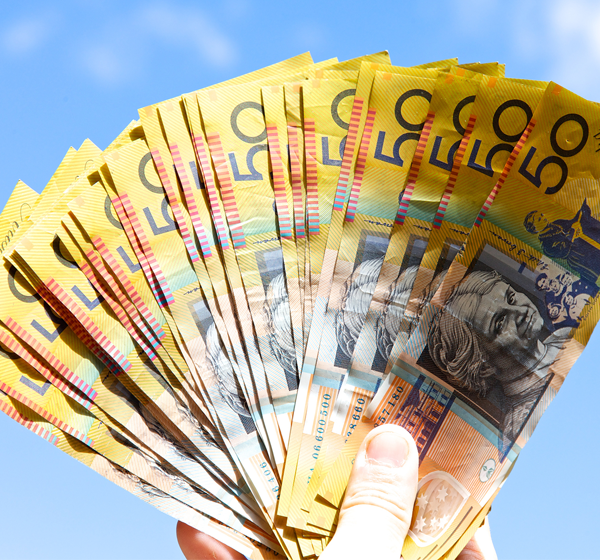 A free $90 bonus gift with your 18 pack! It is still important to arrange an annual termite inspection with a timber pest controller as they will have electronic sensing devices to aid in the detection of termite activity. Our items arrived promptly and were easy enough to set up. I like that the units can be in ground on on top. We purchased as extra security as our house has termite protection but we have several nests bordering our rural property so need to take a proactive approach. We are able to detect and destroy which brings peace of mind.